This all-new earring collection is a must-have for any member of Team Edward! 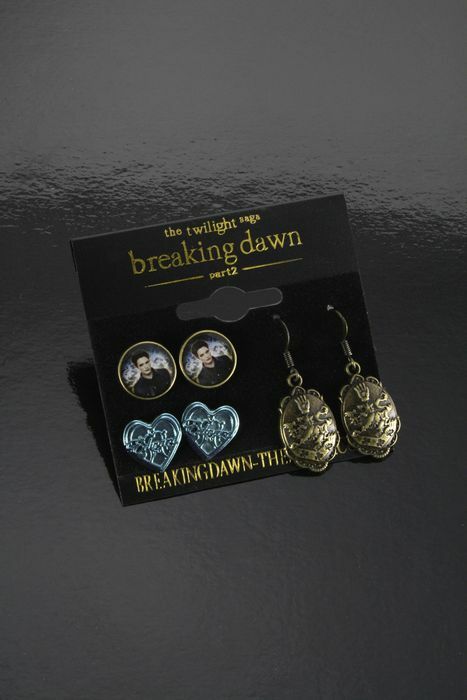 Pack includes three pairs of pierced earrings, each with a different design: the Cullen family crest, a photo of Edward, and Edward’s name in hearts! All earrings are about 1/2″ across. The perfect addition to your Twilight collection – to see more Twilight jewelry, click here!